Rapport has been identified as an important factor in human task performance. 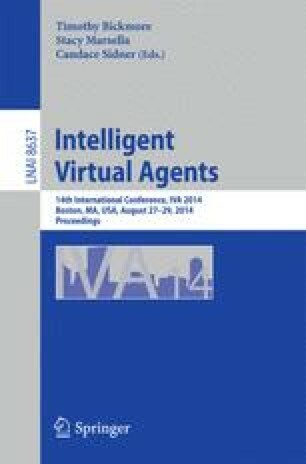 Motivated by the proliferation of virtual agents that assist humans on various tasks, we propose a computational architecture for virtual agents, building on our own work on a dyadic model of rapport between humans and virtual agents. We show how such a system can be trained in order to build, maintain and destroy rapport.